How to Convert MOV File to MP4 Quickly? Resource > Video > How to Convert MOV File to MP4 Quickly? Summary: This article reveals how to convert MOV files to MP4 files easily and quickly with MOV to MP4 converter programs, online converters and video player like VLC player. MOV file format is a proprietary video file format used by Apple to play videos on its built-in media player Quicktime. However, Mac laptops or computers are not used by a vast majority of computer users, making it a pain for users of other operating systems who get such files online or through friends. Luckily, there is a simple solution to solve this problem. Convert MOV to MP4 by making use of some easy to use tools which offer MOV to MP4 conversion. In this article, we will be looking at the fastest ways to convert MOV to MP4 using software that makes the task of converting MOV to MP4 a child’s play. We will be listing the best software to convert MOV to MP4 on first and then go down in the next best order. DVDFab Video Converter is my top pick in the list of tools for converting MOV to MP4, both for the ease of use as well as the short conversion time it takes. All it takes is 2 clicks to get convert MOV file to MP4. 1) Launch DVDFab 10 and select the Converter tab once the program is running. Drag and drop the MOV file to the main screen or click on the Add button to locate the file which needs MOV to MP4 conversion. DVDFab Video Converter supports batch conversion, so you can add several different MOV files to convert. 2) By default as visible in the image above, conversion output format is selected as MP4. If not, click on the Profile Switcher (MP4 button in the image above) and select MP4 output in the Format section. 3) Once the output format is selected you can do advanced audio and video settings like changing the codec or framerate or even do some video editing like add watermark to the video, adding subtitles, cropping and trimming of the video. There is a merge feature in DVDFab Video Converter, so you even can merge several MOV files into one. 4) There is a default directory select for the output file from converting MOV to MP4. You can change it if you like. 5) Click on the Start button to start the conversion process from MOV to MP4 file. DVDFab 10 will immediately start the conversion process and will show you the progress in percentage terms. You can also use its mobile app to monitor the progress of the conversion. You can pause or cancel the task anytime and also set what to do after the conversion process is complete – close program, shutdown, hibernate or do nothing once it has converted the MOV file to MP4. In our list of software to change MOV to MP4 the second entry is on Movavi Video Converter. Movavi deserves a mention in this list because of the one screen interface it offers for the whole conversion process. Let’s see how simple it is to convert MOV file to MP4 using Movavi video converter. 1) Install and start the Movavi Video converter. On the home screen can drag and drop the MOV file or click on the File icon to import a file. You can even import a whole folder if you want to add multiple files for MOV to MP4 conversion. 2) Once you have added the files for conversion from MOV to MP4, you just need to select the output format from the list of formats below, select the output file location and click on Convert button to convert MOV file to MP4. 3) Just like DVDFab 10 video converter, here too you have similar video editing tools which allow you to manage subtitles, trim the video, add watermark and do other adjustments. Movavi also has the feature to merge two or more input video files into one converted MP4 file. The next tool to convert MOV file to MP4 is an online tool on the website Online-Convert.com. This one-page tool lets you convert your MOV file to MP4 without the need to install any software or pay any charges. All you need to do is to upload the file, do any optional settings if required and hit the Convert file button. The Optional settings while converting MOV to MP4 offer you some of the same functionality as the above 2 tools in Advanced Settings and Video editing options. If you conversion task very straightforward then you can look at this website to convert MOV to MP4. No, there is no mistake on my end and you are reading it correctly. Your favorite VLC media player has a lot of capabilities and one of that is to convert MOV file to MP4. Let’s see how you can do it too in a few simple steps. 1) Open your VLC media player, click on the Media button in the Menu bar and select Convert / Save option. 2) In the next screen either drag and drop the MOV file or click on the Add button to locate the file for conversion from MOV to MP4. Now select the Destination file folder and click on Start button. 3) VLC media player converter features are not as fancy as those of the above-listed tools but it gets the task done if you don’t plan to do any video editing or changes in the output file other than the default. Though it doesn’t have many features, it gets listed in our list of tools to convert MOV to MP4 because it is already used by a number of people and therefore it makes it a tool that people already have installed on their computers. 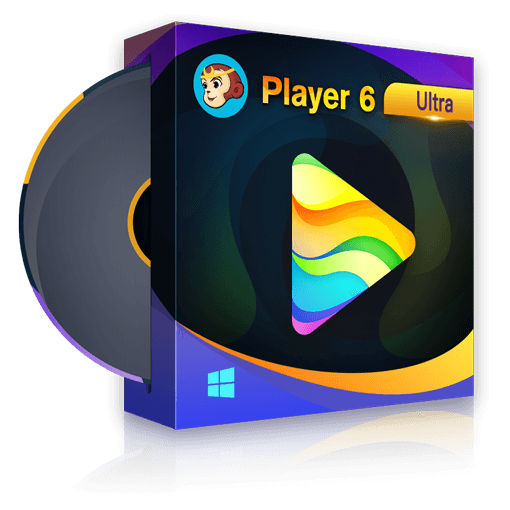 Our last entry in the list, Wondershare Video Converter is a known name in the Video converter community. Let us see how to convert MOV to MP4 using Wondershare Video Converter. 1) Launch Wondershare Video Converter and then click on Add Files to add MOV files for MP4 conversion. You can also drag and drop the files to the home screen of the converter. It also supports batch conversion of files so you can even drag and drop a whole folder of MOV files. 2) Once you have loaded the files you can preview the details of the output file like its size, resolution, length and output file type. From the same screen, you add effects to the video, trim and crop parts of it. You can choose to Merge All Videos if you are doing a batch conversion and more. Once you have bought the tool you get access to even more powerful features like High-Speed conversion. You can also define what to do after the conversion process is complete – Do Nothing, Shutdown, Hibernate, etc. If you are an Apple device user and deal with a lot of MOV files regularly, having a tool to convert MOV file to MP4 is a must have. If you are looking for a professional solution, DVDFab Video Converter is the first tool you should consider to change MOV file to MP4. With its quick performance, batch conversion facility, lot of video editing features and professional quality Advanced features it is a no-brainer that you should consider when thinking how to convert MOV file to MP4. However, if your need for a MOV to MP4 conversion is one off then you can consider VLC or Online-Convert.com. If you prefer to use an online video converter, please click Top 8 Best Online Video Converters to learn more. Are you looking for useful music player apps for iOS and Android, following are 10 best of them we have used. And particularly mentioned one powerful software at the ends of the article. Although heavy metal isn’t known for being particularly festive, there are some great metal Christmas songs out there that you’re probably going to enjoy during the Christmas season.